JSM & Associates (JSM), a leading BHS Design and Operations/Maintenance for airports across the globe, celebrates a decade of helping clients strategically execute BHS design, consulting, concepts and planning, as well as BHS/Passenger Boarding Bridge (PBB) operations and maintenance. As one of the few owner-operated firms in the airport design, consultancy and operations marketplace, JSM has achieved significant growth since its inception in 2008. Through a long and successful history in the aviation community, our value is derived from our experienced and knowledgeable employees as well as our management team’s more than 200 years of combined BHS engagement. “Building off successful working relationships from previous companies, we started JSM ten years ago with BHS professionals who shared a client-first philosophy towards the services we offered,” said John Majewski, founder and president. JSM originated as a BHS design and consultancy firm, assisting authorities through difficult BHS installations and TSA mandates. JSM’s deep understanding of baggage systems was quickly recognized by the aviation industry and JSM was continuously awarded more complex baggage handling system designs. JSM’s first CAT X Airport Checked Baggage Inspection System design came in 2013 for Tampa International Airport. JSM’s first Hold Baggage Screening System using Individual Carrier System (ICS) technology at a major international airport came in 2014 at Tocumen International Airport. Fittingly, JSM now oversees the largest OTA funded project by the TSA for Miami International Airport. JSM’s expertise in baggage screening and processing projects continues to expand as we have provided BHS professional services on three (3) continents and the Caribbean. Due to our history of BHS manufacturing and BHS O&M services, JSM was encouraged by GOAA in 2013 to pursue the BHS maintenance contract at the Remote Sorting Facility (RSF) at OIA. Upon award of the RSF contract, JSM opened its second division of the company to pursue operations and maintenance (O&M) contracts. Later in 2014, JSM took over the operations and maintenance of the BHS, PBB and auxiliary equipment at Orlando International Airport, as the Greater Orlando Aviation Authority (GOAA) encouraged JSM to help them through a transition to another O&M contract. Since then, JSM has continued to expand its O&M footprint. JSM now assists many of the neighboring airports with Preventive Maintenance services to ensure their long-term performance.  JSM is looking to further expand our Operations and Maintenance (O&M) footprint on the strength of our talented employees and O&M management team. JSM — Designed for the Future. Maintained for Performance.